Adrea has volunteered with PARDS since 2005 and joined our Board in 2013. She currently fills the role of Secretary on the executive. 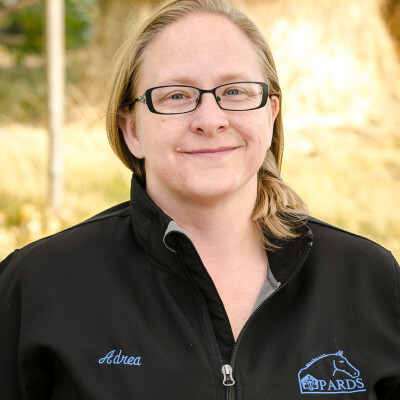 In addition to her Board responsibilities, Adrea is an active volunteer mentor in our Youth Leadership program and has achieved certification as Equine Assisted Personal Development Coach and has sat on a number of PARDS’ event committees. Her rich history with PARDS and all of our programs enables her to provide a program based perspective to board governance. Adrea’s career in the Health Services field has given her in depth experience in policy and procedure development which has directly benefitted our organization. Adrea is also actively involved in the community as a Girl Guide Leader and in her leisure time has participated in riding lessons at PARDS and Indoor Soccer.